Dennis has been involved in the Insurance, Financial Planning, Investments, Real Estate, Business Coaching, Accounting and Tax business since 1973. 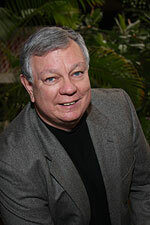 He founded the Dennis A. McCurdy Insurance Agency in January 1975, and Dennis A. McCurdy & Associates in 1987. He holds an Insurance Broker license. In 1985, he became a Certified Insurance Counselor (CIC). Dennis is also a Registered Representative, Investment Advisor Representative with FINRA and Commonwealth Financial Network, having earned his Series 7 Securities License from FINRA in 1988. Dennis received his Certified Financial Planner (CFP) designation in 1990. Dennis is a member of the Independent Agents of America, The Society of Certified Insurance Counselors and the Society of Certified Financial Planners and The National Association of Tax Professionals, and is a Vietnam Veteran. Dennis is President of Village Toastmasters and is a popular motivational and business speaker. He is the author of the books "Find A Way: A Guide to Getting the Most out of Life" and "52 Ways to Find A Way." FUN FACT! Did you know that Dennis was once the bodyguard for Bob Hope? 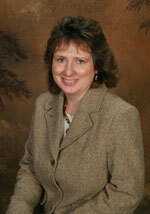 Dottie joined the staff at The McCurdy Group in 1999. Her areas of expertise are in accounting, payroll and taxes — both business and individual. She earned her Bachelor of Science, Bachelor of Arts from Nichols College. In 2012, Dottie passed the IRS Registered Tax Return Preparer (RTRP) examination, and is a member of National Association of Tax Preparers (NATP). She participates yearly in the IRS Annual Filing Season Program (AFSP) of continuing education. Dottie enjoys scrapbooking, photography, and spending time with her family and friends. Sherry Iacobucci joined the staff of McCurdy Group in January 2013 as the Financial Assistant and now serves as our Office Manager. 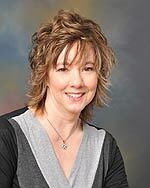 Sherry comes to us with over 20 years of experience working in finance for town and school offices. She has lives in East Brookfield with her husband, Dean, and her four children. 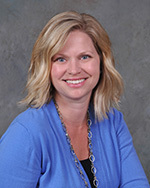 Rebekah joined the McCurdy Group during the summer of 2007. She started her career with McCurdy’s as receptionist, moved to Personal Lines in December of 2010, spent a few years in Commercial Lines, and is now back in her area of expertise, Personal Lines, as Senior Personal Risk Manager. She obtained her Property & Casualty License in December of 2010, and has earned Certified Insurance Service Representative (CISR) and Certified Commercial Lines Professional (CCPL) designations. Rebekah earned her BA in Business Administration with a concentration in Accounting from Roger Williams University. During the summer of 2013, Rebekah married Daren Bradway of Wales, MA. They currently reside in Fiskdale in a home built in 1782, which has been in her family for nearly 200 years. Emily Simons joined McCurdy Group in 2016 as the morning receptionist and was promoted to Personal Lines Risk Manager in April 2017. 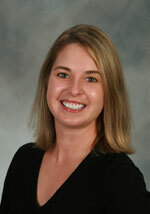 Emily brings to McCurdy Group a diverse work history including insurance, banking and municipal experience. Outside of the office, she is the Volunteer Coordinator for the Charlton PTO. Emily and her husband, Jeff, live in Charlton raising their two children Bree and Brody. Justin Bellinger joined the McCurdy team in March of 2017 as a Commercial Lines Account Manager and by November, earned his Property and Casualty Insurance Producer license. Enthusiastic and eager, Justin is committed to continually advancing his knowledge of the insurance industry. 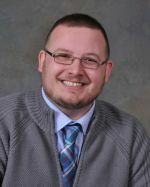 Recently, Justin received the Specialty Dwelling Policies designation from Foremost Insurance and he is in the process of completing the 7-Part Series towards earning the Certified Commercial Lines Professional (CCLP) designation. Fun Fact About Justin: Prior to joining the McCurdy Group, Justin was a well-known professional stunt driver who traveled the country performing for such notable thrill shows as: Tim Chitwood’s Legends Stunt Show, Tonny Petersen’s Stunt Drivers, Joie Chitwood’s Reunion Thrill Show, and Doug Dangers Stunt Show.